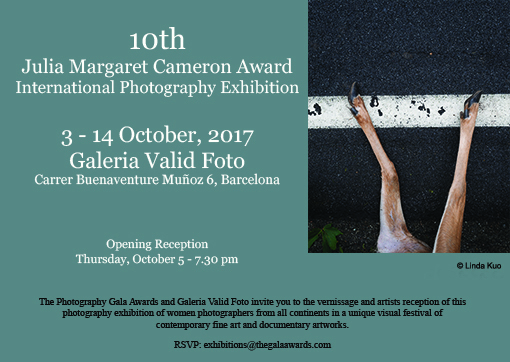 Honored to be exhibited at the 10th Julia Margaret Cameron Award International Photography Exhibition in Barcelona, for first place in documentary single image. “Elegant End” from the project Reclaimed. This entry was posted in news and events on September 3, 2017 by Kuo Photo. Very honored to have been awarded first place for documentary single image for “Elegant End” from The Biennial of Fine Art and Documentary / 10th Julia Margaret Cameron award for female photographers! I remember every photograph that I’ve taken, and every time I look at one of my images, it instantly takes me back to the circumstance in which I shot it. The power of visual storytelling. I remember the morning I came across this deer as if it were yesterday. I was on my way to an appointment. It was a cool, damp and foggy morning. I was 45 minutes away from my house, and as I approached a curve in the road, I immediately saw this doe laying off to the side of the road, her legs gingerly protruding from underneath the guardrail, and I knew I had to go back. I was not able to stop anywhere along the roadway, and as it was, I didn’t have my camera. Of course. But I was haunted by this image, and after my appointment I drove the 45 minutes back to my home, got my camera, and drove the 45 min. back to the scene, hoping she’d still be there. 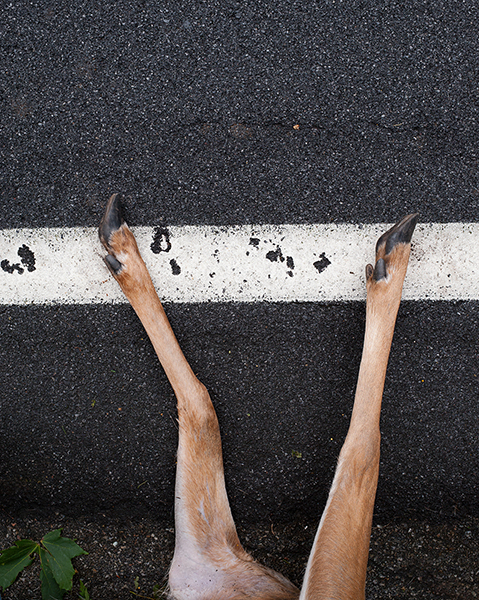 It’s a risk to photograph roadkill for any number of reasons. Usually it’s somewhat dangerous pulling to the side of the road, and shooting in the shoulder so close to automobiles zipping by. You’re usually in a position that makes you vulnerable to traffic, and as a driver myself, who has been startled by a runner without reflective gear, a bicyclist without a helmet, I don’t trust other drivers to be alert to people crossing, riding their bikes, or other pedestrian circumstances. So, as I’ve been told by a police officer who has confronted me once, my presence on the road is a distraction, and cause for an accident. So, having that in mind, I never have much time to shoot. Within the short window I have to work, I become very present with my situation. Even before I shoot, I usually take a few moments, to just feel my subject. The circumstance. There isn’t a time where I have photographed a fallen animal by the side of the road, where part of me doesn’t become lost. Saddened by the sudden loss of life, the plight of a sentient being trying to survive. Navigating the roadways in order to search for food, a mate, a nesting or breeding area, only to be taken out so abruptly. As I stood over this doe, her elegant pose, her delicate feminine limbs mimicking those of a woman, the very green leaf. I left with a heavy heart (as I always do,) but feeling that by documenting her in this way–strong, bold yet delicate, somehow keeps her alive and pays homage to what she represents. The fight, the struggle for survival, yet never losing her strength and resiliency, and not forsaking her femininity. This entry was posted in projects on June 28, 2017 by Kuo Photo. Very honored to have been selected to present my work on behalf of ASMP and “Projections” hosted by Frank Meo. Come join us on June 21st at 6:30pm at Paulaner NYC! Please join my colleagues and I on June 21st, as we present our work at an evening of Projections! This entry was posted in projects on June 12, 2017 by Kuo Photo. This entry was posted in projects on February 15, 2017 by Kuo Photo. 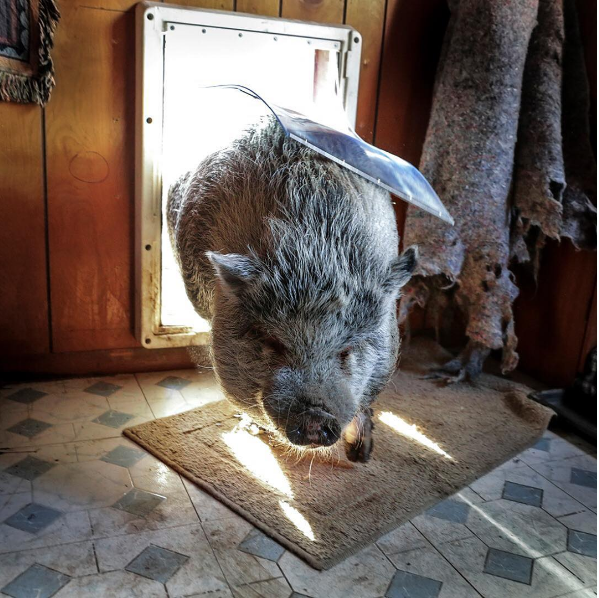 Wilbur, a 180 pound pig, lives in Staten Island with his owner Christy Matteo. And as most pigs do, he likes taking long naps, rooting in his backyard, and rolling in the mud. 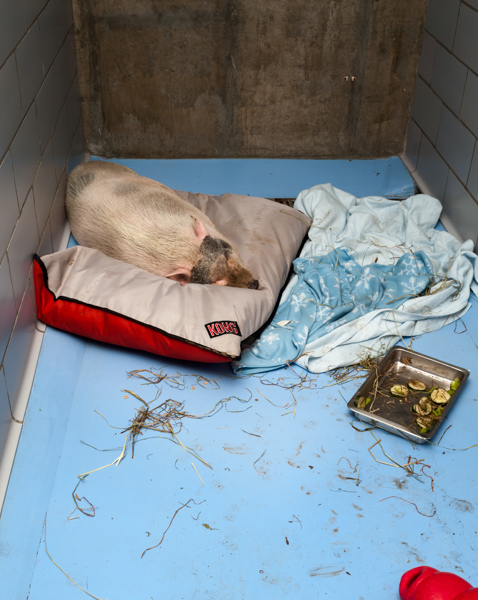 Wilbur had a nice life, until someone called the authorities, and now Christy must get rid of Wilbur by the end of the month because pigs, like many exotic animals, are illegal in New York. As I posted this Instagram post from the New York Times on my Facebook page, John Stanley of CCNY (Camera Club of New York) posed this question: “He’s adorable. How do you feel about having pigs as household pets?” Pigs are highly intelligent, and actually so biologically similar to humans, that their eyes are used for research, and they serve as a host to cultivate the growth of human organs, and, they can learn tricks and also make good pets. My feeling, is that pets are often acquired by humankind to fulfill a need, more so than for the needs of the pet itself. Exotic pets are enormously popular, but they suffer in captivity, because their natural habitat is impossible to replicate, and their biological needs can’t realistically be met. This is true even though the majority of exotic pets are captivity bred. See Displaced So when it comes to what I think about whether pigs make good household pets, I think that yes they do, if given the right environment. I don’t see pigs belonging in urban environments, even if they can acclimate. Like most animals, whether domestic, agricultural or wild, they need to be able to express their natural behaviors, as in Wilbur’s case, rooting, and rolling around in mud. (It seems that Ms. Matteo, has done him justice in this regard, however, I don’t know what her living situation is like for her neighbors.) Though pigs can, and have adapted to apartment living, I feel that an animal’s innate instinct, needs to be fulfilled for them to really have a sense of wellbeing and to thrive. Much like humans fulfilling their sense of purpose in life. When it comes to the relationship between humankind and animals, my philosophy is one of responsibility and accountability. 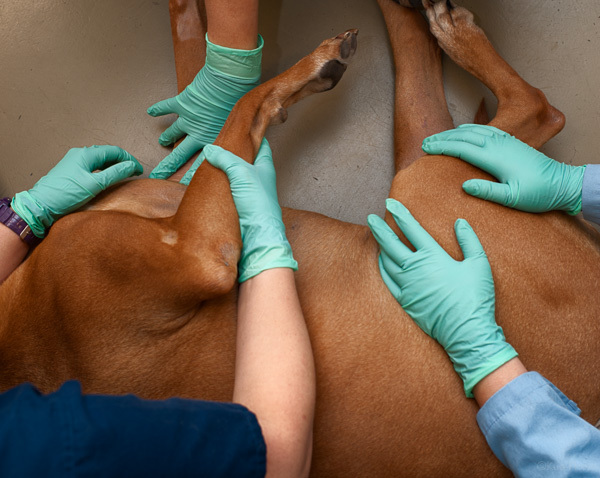 To be accountable for the welfare of the animal. If having knowledge that pigs are illegal in New York, then Wilbur, and all the urban pigs that exist as pets, are always under a constant threat, and that needs to be taken into account. So what is Wilbur’s fate? Where does he go now? Hopefully he will end up at a sanctuary with other farm animals, and not like this unfortunate pig, who was also once a pet. This pig, once someones pet, ends up at a shelter. This entry was posted in news and events on January 24, 2017 by Kuo Photo. 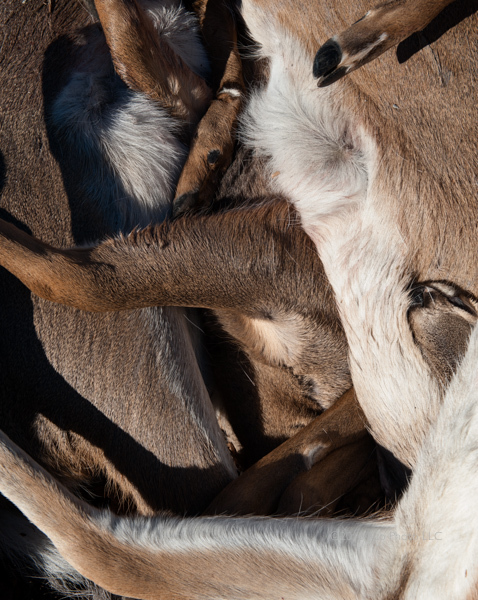 Juxtaposed deer on a compost pile. This entry was posted in news and events on January 9, 2017 by Kuo Photo. 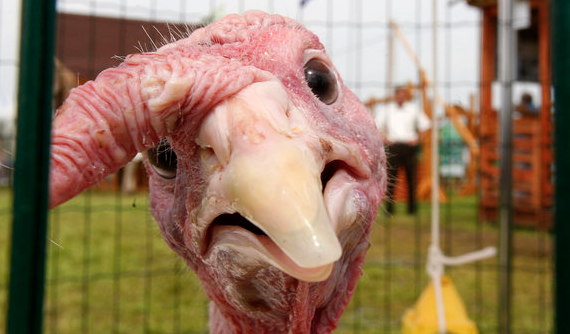 In the name of tradition, 46 million turkeys will end up on Thanksgiving tables today. I came across this article written by the Huffington Post, which depicts the turkey as simply terrifying in appearance, exhibiting pictures of them in harsh lighting and unflattering angles, highlighting their seeming unsightly characteristics, and presenting them as flaws. Well in all fairness, I have myself been terrified, when accidentally flipping the camera on my iphone, only to be confronted with my own face, as I frantically panicked and fumbled, while attempting to flip the camera back. Then I spend the next 5 minutes convincing myself that it was just bad lighting and surely I don’t look anything like what I just witnessed. The thing about labeling, is whether it be a person, place or thing, once we label something we immediately limit its potential, and cut off any opportunity or consideration for it to be something else. It’s been defined, compartmentalized, confined and constrained within that definition. It no longer has the ability to cross-pollinate. How each of us views and defines the world, is based on our own belief system, which is a culmination of our life experiences. Conscious, and subconscious. The only hope for us as a nation, to bridge our ever widening gap, is to consider different points of view. “Consider” being the operative word. How the Huffington Post illusrates the turkey, and how I view the turkey, are very different. There is no right or wrong, it’s a matter of opinion. However, though we may just be talking about the appearance of a well known bird, and surely the Huffington Post is merely poking fun in its article, it can be a fragile line to toe, when it comes to labeling the appearance of anything. People, animals, cultures, countries. I see the turkey as a marvel. Regal even, with a pantone of colors that only nature can create. 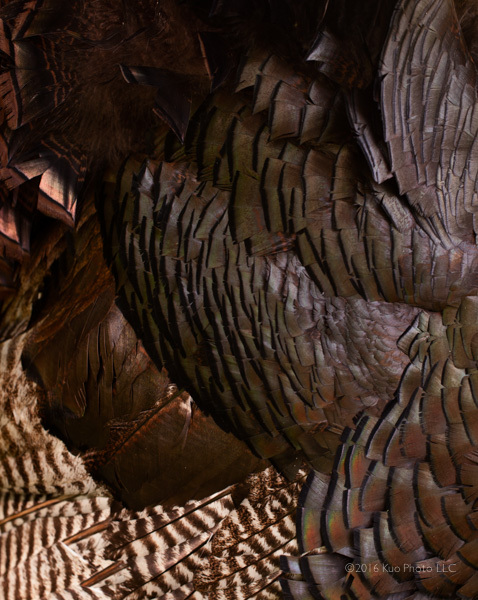 A myriad of patterns and textures, simultaneously refined and grotesque. Having sat in a rafter of turkeys myself, their soft thumping and strutting was mesmerizing, had the most calming effect. It was really something to behold. I for one, will be tucking into a variety of root vegetables and acorn squash on this day of thanks. The wattle, fluid and fabric-like, textural like wax. Vivid in color, and in contrast with an intense blue not often found in nature. 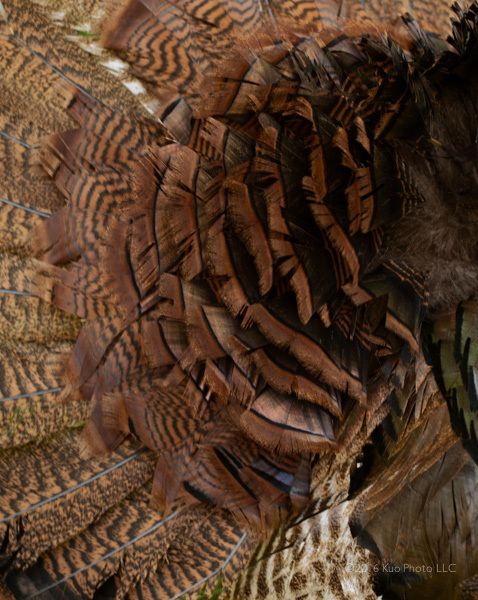 The remarkably intricate patterns and iridescent colors of the feathers. Astounding. 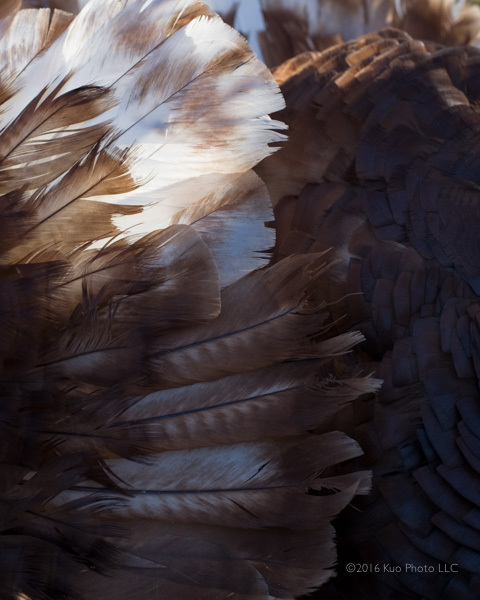 The engineering of the feathers, inexplicable. Angel-like wings. The white tips catching the light, transparent and opaque, were delicate and a sight to behold. This entry was posted in projects on November 24, 2016 by Kuo Photo. 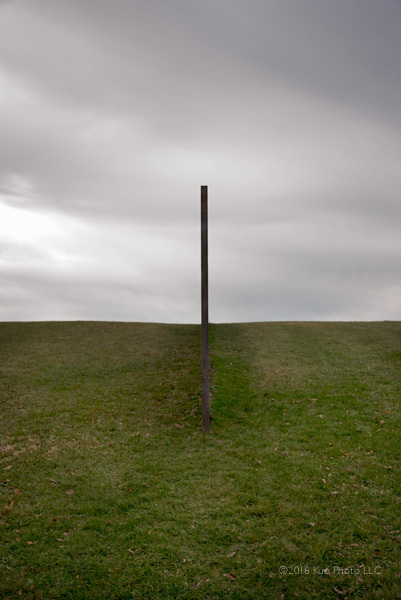 Richard Serra. Storm King Art Center. Every since I was a child, I had asthma and allergies. I got allergy shots twice a week, and used an inhaler when environmental conditions activated my asthma. I was congested, compromised, and labored from any activity that taxed me. I was frequently sick during winter, and then one day I got sick and tired of it. I began to read and research about health, changed my diet to becoming a staunch vegetarian, and applied the philosophy of food combining. I went through a detoxification process that concluded in giving my body – space. Space to breathe, function, and thrive. We live in a congested society. Everything we do, our very way of being, clogs our mental arteries. Glancing at our phones prior to going to sleep, to reaching for them as the first thing we do when we wake up – lest we have missed anything, during those brief hours of slumber. We assault our minds with continual thoughts and distractions so much so, that it has become the new normal, and like a narcotic, we can’t seem to function without getting another hit, which feeds the paradigm, which necessitates that we perpetuate the dysfunction. We don’t understand what it means to be still. In the artistic process, as well as the human process, it’s essential that there be space. Stillness. Connection to the divine, as we are merely a conduit and channel for the unlimited creative energy that surrounds us. In my process, it’s non-negotiable that I meditate, practice yoga, journal every day, and connect to nature. Then I leave one day a week to do what I love, that which has no agenda. It was difficult to implement this at first, because we become so identified with “doing” that it’s the doing that creates our self importance. The doing is what you’ve become. The irony, is that when you create space and make time to do those things which fill your soul, more time becomes available. When you are present and focused, your awareness becomes heightened. Perception becomes sharper than before, and with no effort. However, we no longer have the ability to understand let alone acknowledge the power of creating that space which already exists, we just have to enter it. It’s become an equation of importance = “doing.” As a still photographer, I’m constantly asked “Are you doing video yet?” Always moving, onto the next, without much contemplation for what’s here. An Edward Weston, or Irving Penn still life, can speak volumes until the end of time. We have lost the art of contemplation, addicted to moving, frenetic motion, being polished into nothing. 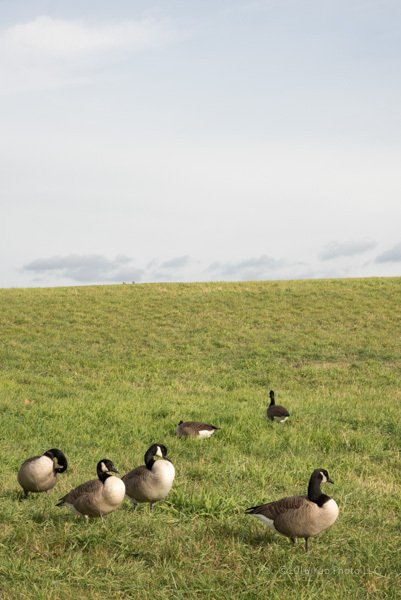 Geese. Storm King Art Center. This entry was posted in process on November 6, 2016 by Kuo Photo. Laser treatments can be used for various reasons, such as skin irritations from allergies. 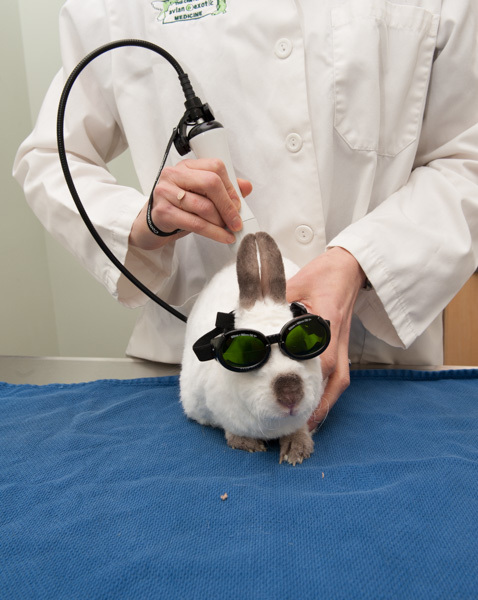 Both the veterinarian and animal, must wear protective goggles during treatment. 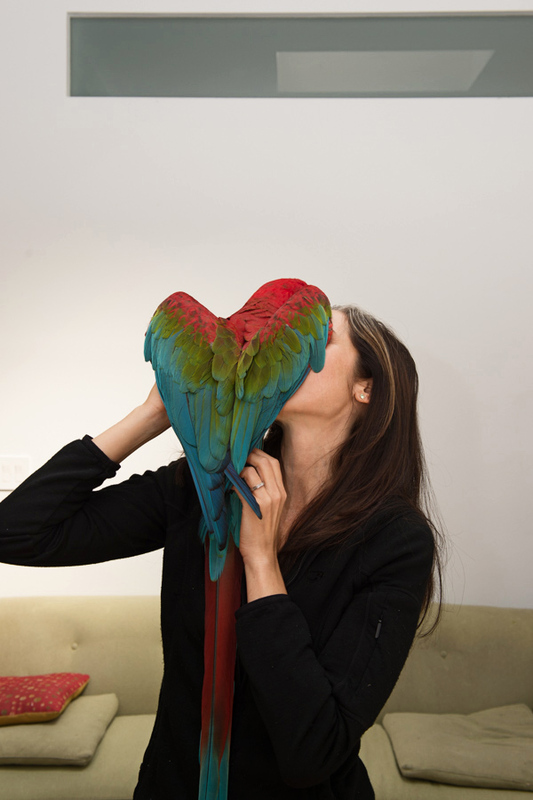 Getting treatment at the Center for Avian and Exotic Medicine in NYC. This entry was posted in projects on September 26, 2016 by Kuo Photo.